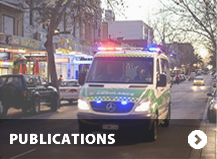 The Australian Resuscitation Outcomes Consortium (Aus-ROC) began as a Centre of Research Excellence funded by the National Health and Medical Research Council (2012-2016). 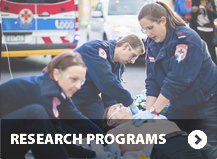 Aus-ROC aims to increase research capacity in the area of out-of-hospital cardiac arrest, with specific focus on improving rates of survival and outcomes for survivors. Please submit your enquiries using the contact form. Aus-ROC Director Professor Judith Finn has led the Cochrane Review of Adrenaline for cardiac arrest. The review concluded: ..”that standard-dose adrenaline compared to placebo improves return of spontaneous circulation, survival to hospital admission and survival to hospital discharge, but low-quality evidence that it did not affect survival with a favourable neurological outcome”. 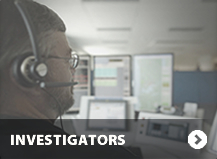 The EXACT pilot study is now published in Resuscitation and can be found here.